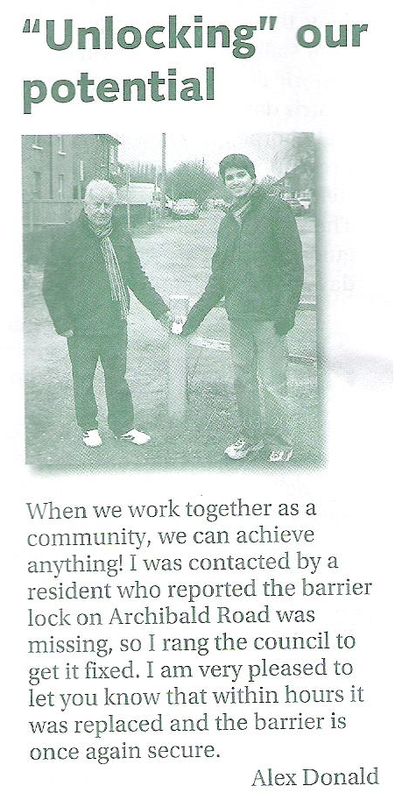 From this month's edition of The Bulletin published by the Residents' Association. In the picture: Cllr Brian Eagling, Residents' Association (left) and yours truly (right). alex donald 4 duke of gb!